The WeChat Mini Game Developer Conference was held in San Franciscoon November 12, during which WeChat sent out a formal invitation to developers across the world to propel the expanding Mini Games ecosystem. 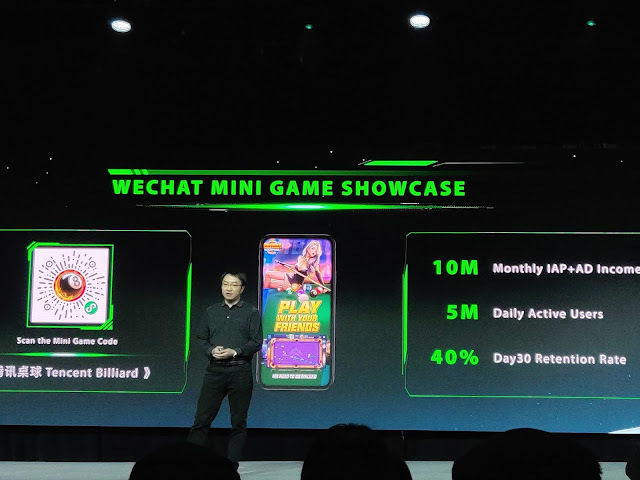 At the conference, WeChat helped attendees understand the current state, unique capabilities, and developer support of Mini Games. At the conference, WeChat announced over 1 billion monthly active users, with WeChat Mini Games showing its potential as a key business with over 310 million users. The 7-day user retention rate of some popular Mini Games rocketed to 45%, exhibiting effective user accessibility and game feature APIs. WeChat provides ways to attract users through social media sharing, advertisements, and redirects from Mini Apps to Mini Games. Once users try out the game, there are various features to keep them or their friends hooked. WeChat has added over 30 capabilities built off of WeChat's unique ecosystem such as friends rankings and versus matches, as well as over 200 APIs. These unleash the social capabilities of the WeChat platform as well as bring added room for creativity for developers. As for commercial value, WeChat helps provide ways for traffic monetization through in-game item purchases and advertising. Two popular Mini Games were showcased at the conference, including Tencent Billiards, a casual sports game which currently maintains about 5 million daily active users, over 10 million RMB in daily transactions from in-game item purchases and advertising, and a 30-day user retention rate of 40%. This Mini Game's brilliant performance stems from constant refinement of how it integrated WeChat's unique features and quality. WeChat Mini Games highlighted at the conference that it would strive to support overseas developers by opening access to current API and localizing developer documentation to facilitate development and publishing. Additionally, WeChat presented development procedures and noted that Mini Games development currently supports the industry's common development engines, bringing clarification and convenience to overseas developers. With the end of the conference, WeChat Mini Games awaits more overseas developers to join in the ever-growing platform. Together with developers, WeChat will continue striving for growth and exploring new possibilities of the Mini Games ecosystem.